LOVE the pink swan ? drink floats. In the pool on the ship? Or at a beach? I don't know of a rule that prohibits a pool float, but -there is simply no room. The pools really aren't sufficient for more than getting wet. 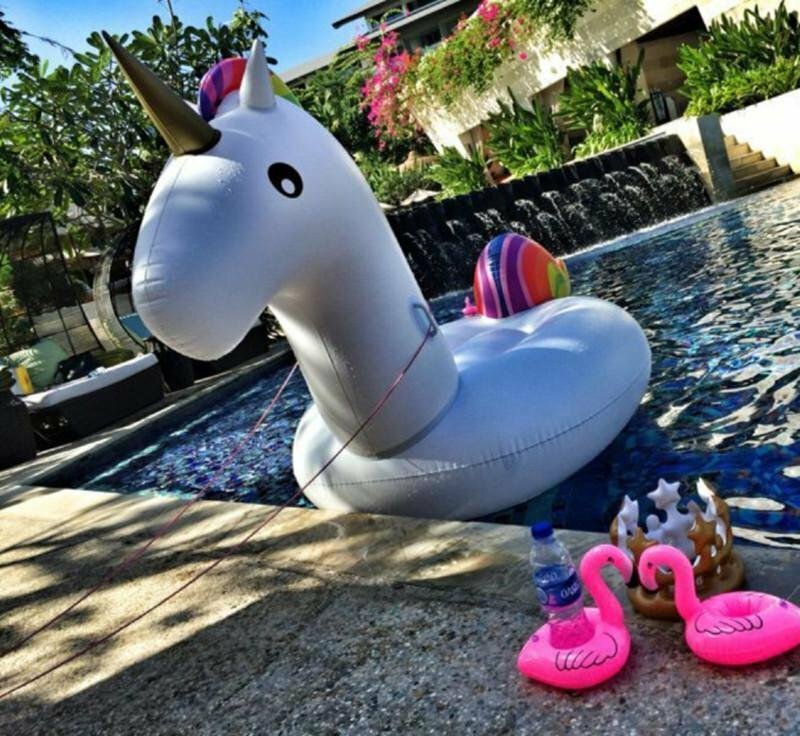 LOVE the pink swan ? ﻿drink floats. I don't know of a rule that prohibits a pool float, but -there is simply no room. The pools really aren't sufficient for more than getting we﻿﻿t. I agree. Pools get crowded especially on sea days, even in the Solarium. For all of my cruises I have been on, most of the time people are in the pool for maybe 15 mins. during an hr. and the pool is still packed. IE you really can't swim from one end of the pool to the other (length) or even one side to another (width) without navigating around people. If you are talking about beaches (excursions) than that is different. If you are talking about Coco Cay beach, I believe they rent beach mats for the day. If you took a cabana or bungalow at Chill Island on Coco Cay beach mats are included. Maybe just me, but I would think that Oasis since it has a Lazy River, they would have floats. We have those for our pool but we leave them at home. You could bring them to the beach along with your battery powered air pump but thats a lot of luggage space. I think trying to get it to properly dry after using and not getting it and the rest of my luggage covered in sand would be a huge pain. My priority is shoes over an inflatable especially since mats are available but to each their own. I am not sure what you mean by beach loungers. Clamshell, beach beds, beach mats? Lounge chairs are free. I agree with melski. You can rent beach mats for $13 for the day. That being said, I am someone who travels lightly. 13 bucks for a beach mat is worth it in my eyes if it means 1 less suitcase. The clamshells - plus my air compressor is *tiny* (for a blow-up mattress). Also, since we don't have to fly to /from the port, I don't mind lugging some crap. If you don't mind lugging some crap, go for it regarding Coco Cay. Coco Cay is a great beach day. You will not be disappointed if you are a beach person. The water is insane. Crystal blue.